Dr. Josh and Dr. Taylor are the founders and lead chiropractors at True North Chiropractic of Colorado Springs. Dr. Josh and Dr. Taylor are passionate about helping individuals and families discover their True North through neurologically based chiropractic so they are no longer defined by health barriers but able to thrive and live out their true purpose in life. Learn more below about each of your doctors and the team that keeps True North alive. Dr. Josh is a native of Denver, Colorado, but at the age of 7 moved to Florida where he resided for most of his childhood. While in Florida, Dr. Josh attended the University of Florida where he graduated with a Bachelors of Science degree in Exercise Physiology. He later went on to receive his Doctorate of Chiropractic at Palmer College of Chiropractic in Port Orange, Florida. Dr. Josh has attended many hours of advanced coursework in the Gonstead technique, pediatrics and maternal care in order to properly and proficiently assess and adjust infants, pregnant moms and children of all ages. From an early age Dr. Josh found his purpose in empowering and enriching people’s lives so they could pursue their true purpose. After seeing so many of his own friends and family experience health challenges that prevented them from being able to carry out their true dreams and passions, he decided to pursue a healthcare profession. While at the University of Florida, Dr. Josh developed pneumonia which later led to breathing issues that required him to use an inhaler and medication frequently for two years. Experiencing no relief through the medical model, Dr. Josh decided to pursue a more holistic approach. While in chiropractic school, Dr. Josh learned about the body’s ability and potential to heal itself and while receiving specific chiropractic care, he was able to come off all medications and has since been able to breathe freely with no issues. 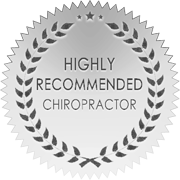 He also noticed through chiropractic care that his frequent allergies and monthly migraines had subsided as well. This kickstarted Dr. Josh’s passion to serve the masses through specific chiropractic care. Prior to moving to Colorado Springs, Dr. Josh had the amazing opportunity to work along side Dr. Taylor in the largest Gonstead office in Birmingham, Alabama where he was also able to provide care for Birmingham’s local professional hockey team. This experience developed his skill and passion to serve people through chiropractic in hopes to remove health barriers so they could pursue their true purpose and live out their full potential. Having the tremendous blessing of being born into a chiropractic home of both parents being chiropractors, Dr. Taylor knew from a very young age that she was called to be a chiropractor. Her chiropractic journey began as a newborn when she stopped breathing shortly after she was born. Her father administered a specific chiropractic adjustment that immediately helped her start breathing again. She was also able to witness first hand the incredible results that chiropractic care can have on families after seeing all of her 6 siblings thrive under consistent chiropractic care since birth. As a result, Dr. Taylor is passionate about educating and giving families and individuals of all ages that same opportunity to live a life full of true health and abundance the way God intended. Dr. Taylor spent her four years of undergrad at Lipscomb University receiving her Bachelor of Science in Exercise Physiology, where she was also an All-Conference track athlete. Due to being under regular chiropractic care during this time, she was able to perform at higher levels and heal quickly from several injuries. Dr. Taylor then went on to receive her Doctorate of Chiropractic at Palmer College of Chiropractic in Port Orange, Florida. She has attended many hours of advanced coursework in the Gonstead technique and pediatrics in order to properly and proficiently assess and adjust infants and children of all ages. Prior to moving to Colorado Springs, Dr Taylor worked in one of the largest Gonstead offices in the entire country, Precision Chiropractic, in Birmingham Alabama. She is a member of the International Chiropractic Pediatrics Association and is also certified in the Webster technique, a technique that focuses on pregnant mothers in all stages of the pregnancy process. Dr. Taylor is excited to help the community of Colorado Springs thrive in their passions and achieve their God-given health potential through neurologically based chiropractic care.